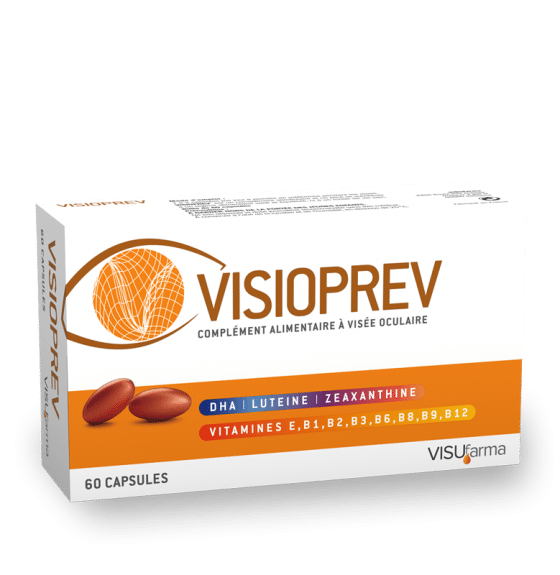 VisioPrev is a dietary supplement that provides the necessary nutrients for the proper functioning of the retina and lens. VisioPrev contains B vitamins, lutein, zeaxanthin and omega-3 in the form of docosahexaenoic acid. VisioPrev comes in the form of a box of 60 capsules. For more detailed information on VisioPrev please visit our local VISUfarma websites here.